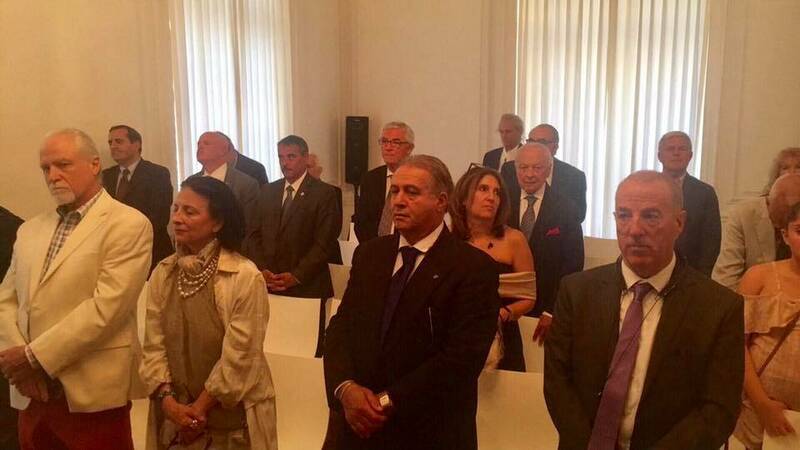 At the Consulate General of Italy, homage was paid to the fallen victims of the attacks on the Twin Towers. 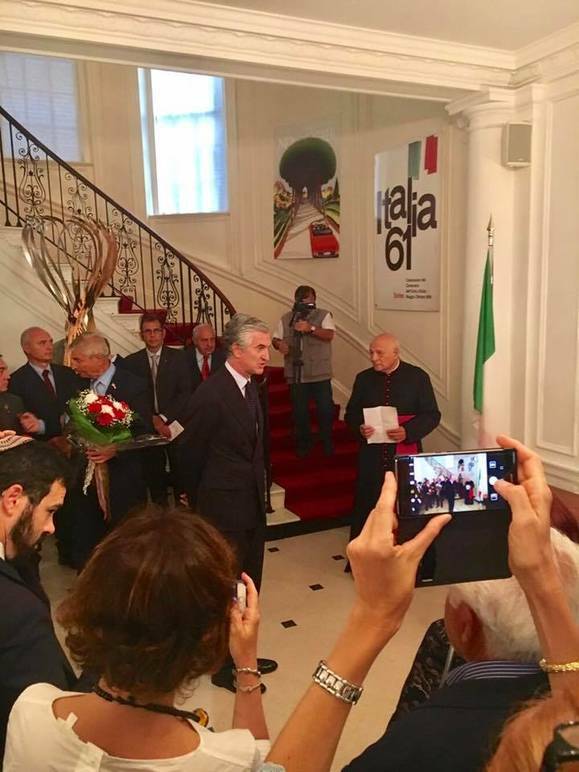 It was also an occasion to remember the Italians whose lives were lost during that tragic event. 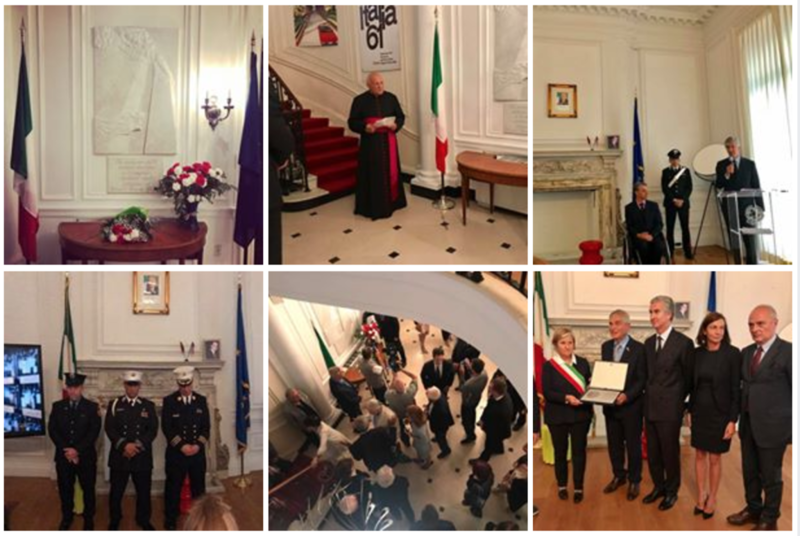 The Consulate hosted representatives from New York’s Italian community and an institutional delegation from the city of Brescia, who remembered the attack on Piazza della Loggia 43 years ago. September 11 2017 marks the sixteenth anniversary of the tragic event during which thousands of people, many of whom were many Italians and Italian Americans, lost their lives. 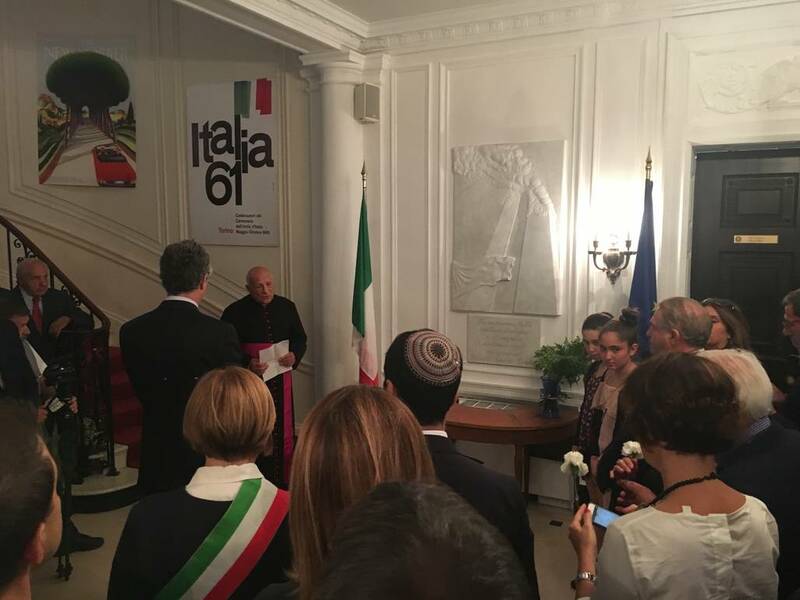 The Italian community came together to remember the victims and to honor fellow countrymen at the Consulate General of Italy. The ceremony began with a prayer lead by Rev. Msgr. Hilary Franco, Advisor for the Permanent Observer of the Holy See to the United Nations. 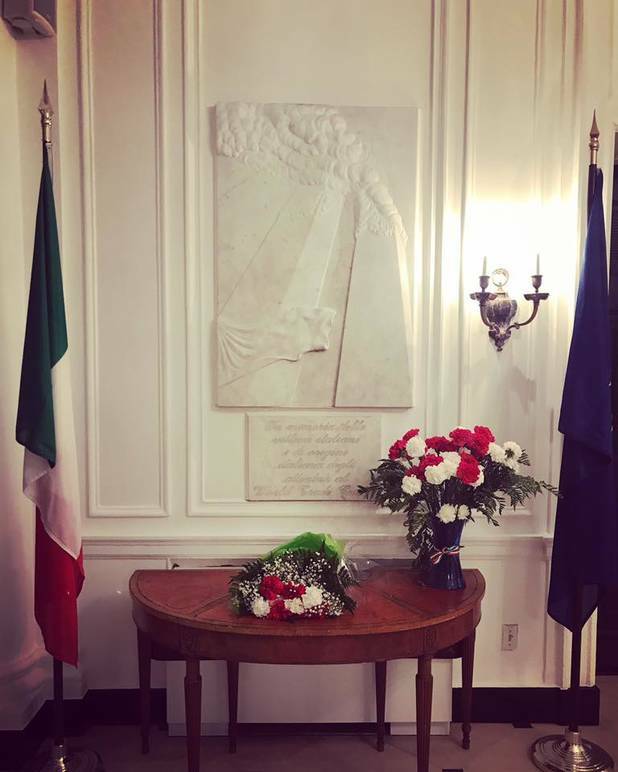 The prayer took place in front Antonio Manfredi’s artwork, which was placed at the entrance to the Consulate in memory of the fallen. 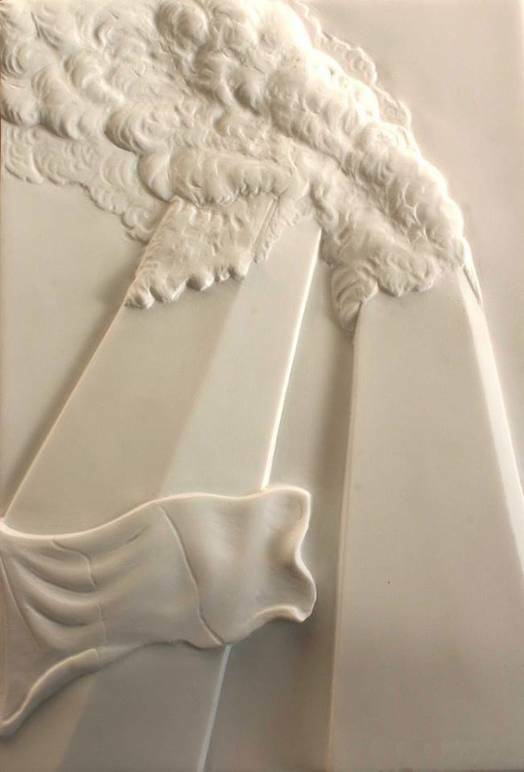 In front of the bas relief depicting the crumbling Twin Towers sat a vase that participants filled with an emotional floral homage. 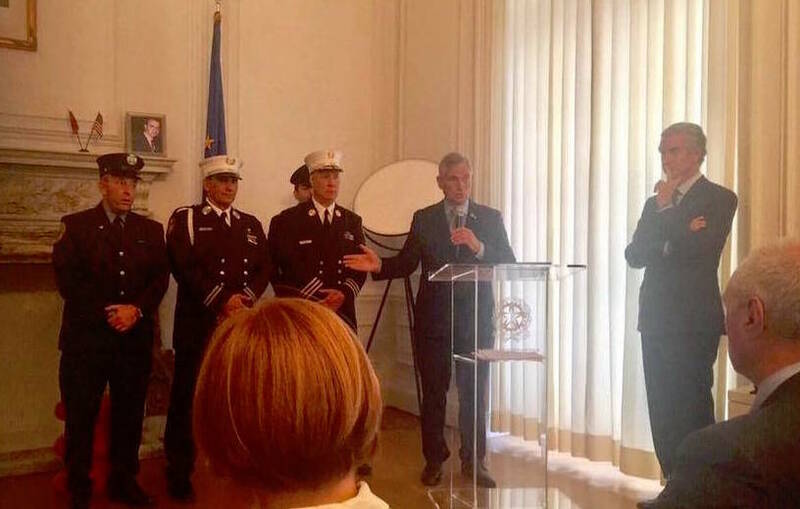 Guests then moved to the Consulate’s conference room where Consul General Francesco Genuardi spoke about the importance of remembering the victims of the tragic attacks. 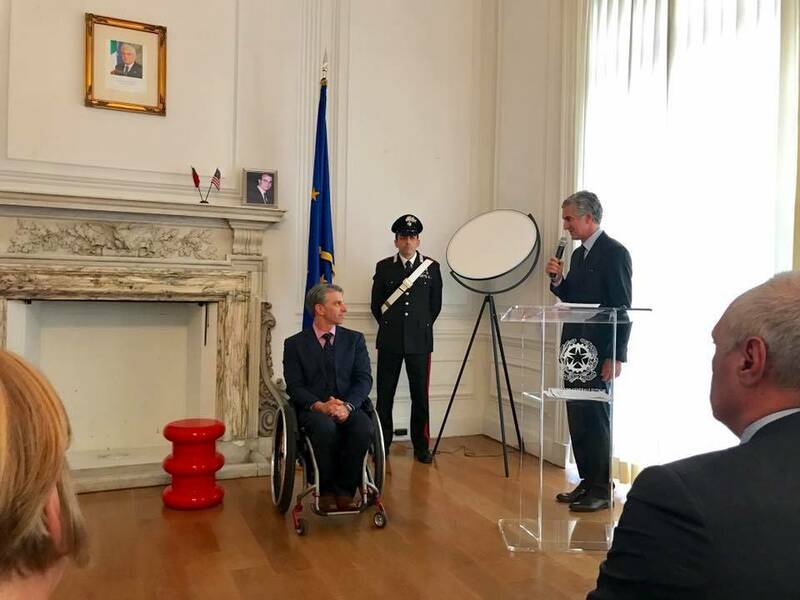 Among the guests was Victor Calise, Commissioner of the Office for People with Disabilities for New York Mayor Bill de Blasio. Calise reiterated the importance remembering. He reminded everyone how much the City of New York has done, and continues to do, in order to rebuild and to repair a wound that will never fully heal. Calise then directed a special sentiment toward the Italians and Italian Americans who perished that day. 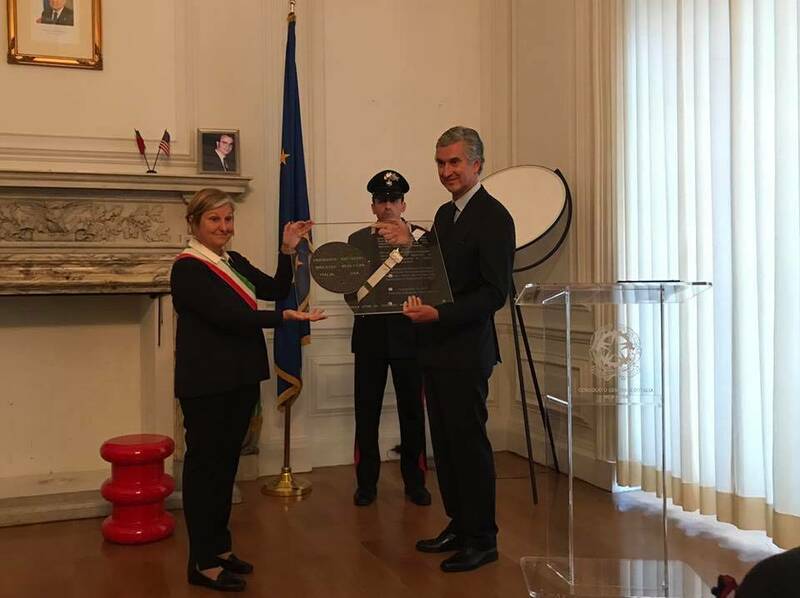 Another contribution was given by an institutional delegation from the city of Brescia, who come to New York in solidarity with victims of September 11. On May 28, 1974, the city of Brescia was struck by a violent terrorist attack in Piazza della Loggia. Many of the city’s residents lost their lives that day. In collaboration with the Comune of Brescia, the Association Famigliari Caduti Strage di Piazza Loggia, and the Province of Brescia, Brescia’s Associazione Casa della Memoria developed a living installation in memory of the victims of terrorism and political violence. The installation unites Piazza della Loggia with other historic locations throughout the city, following Contrada S. Urbano and ending at the Castle. Along the way are a series of tiles and stones that commemorate the victims of various massacres. A solemn moment that evening was the reading of the names of the Italians and Italian-Americans who perished that day. Finding those names proves to be a bit difficult because Italian law does not allow the victims’ identities to be revealed. Cav. Giulio Piccoli has been working on this for years, and he presented the list of names that he found. The presence of the New York City firefighters, many of whom were Italian, was fundamental that evening. 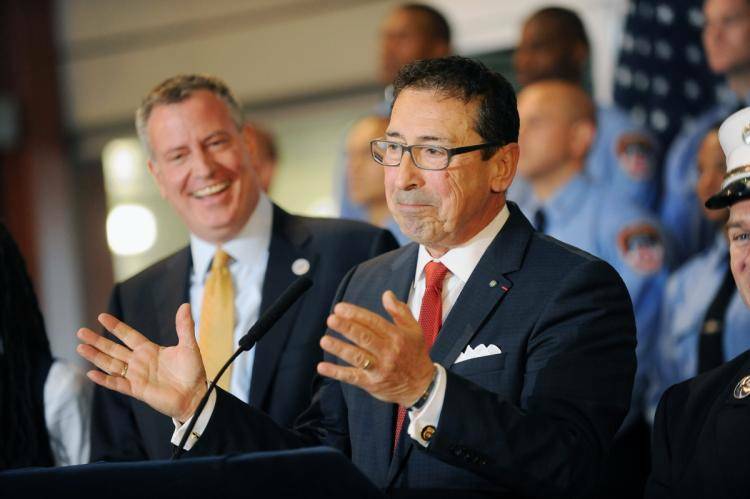 In fact, at the time of the attacks, the head of the Fire Department was an Italian-American, Daniel A. Nigro, who is now the Commissioner of the Fire Department. During a respectful silence, the names were read: Italian names, mixed names, Italian-American names, names that were changed to facilitate assimilation, names from the same family. Names we should never forget. In addition to Cav. Piccoli’s reading of the names, others were ready by Silvana Mangione from the Comitato di Presidenza del Consiglio Generale degli Italiani all’Estero. 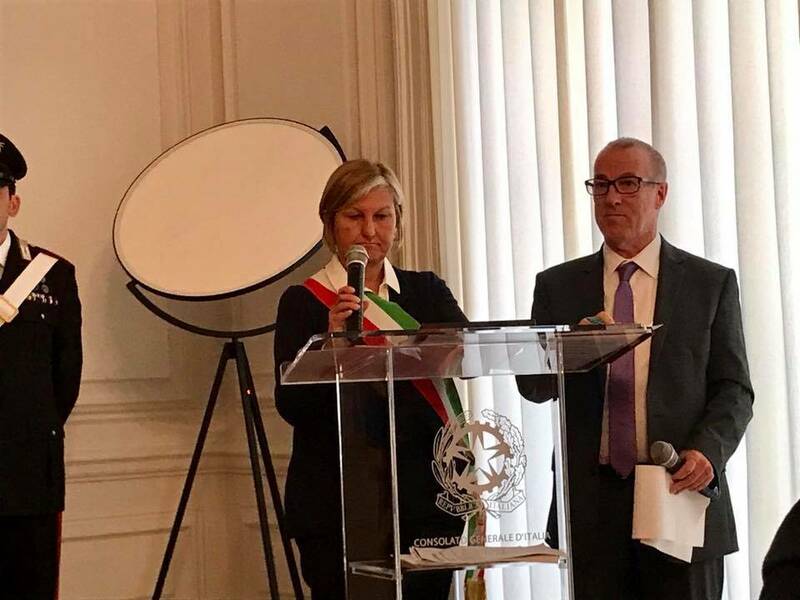 Subsequently, the delegation from Brescia conferred the Consul General and the Consulate with plaques thanking them for the invite and for the great work they’ve been doing for New York’s Italian community. Cav. Piccoli and Cav. Joseph Guagliardo, President of the Conference Presidents of Major Italian American Organizations, also received plaques for their contributions to the community. Refreshments offered by New Jersey’s Clemente Italian Bakery & Deli concluded the evening. The sentiment that night was both warm and emotional as people looked to the past in order to build a better future.